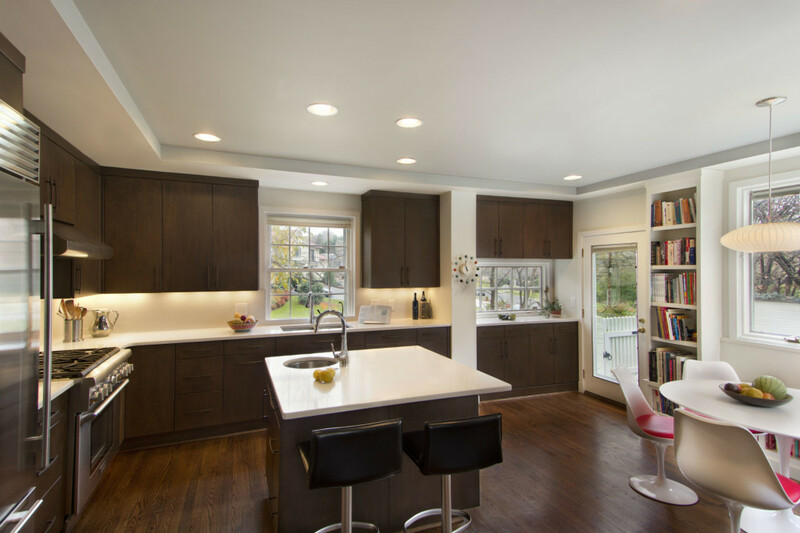 Clean lines and a restrained materials palette result in an attractive and clutter-free kitchen, breathing new life into this classic Washington home. 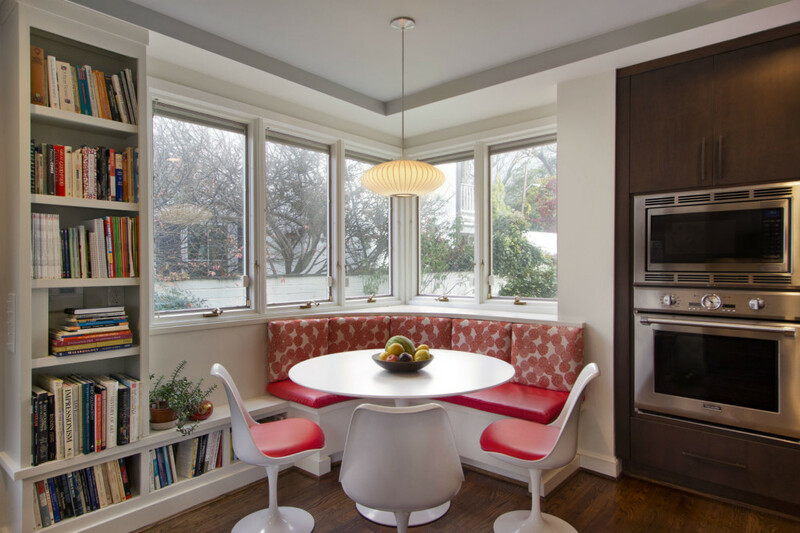 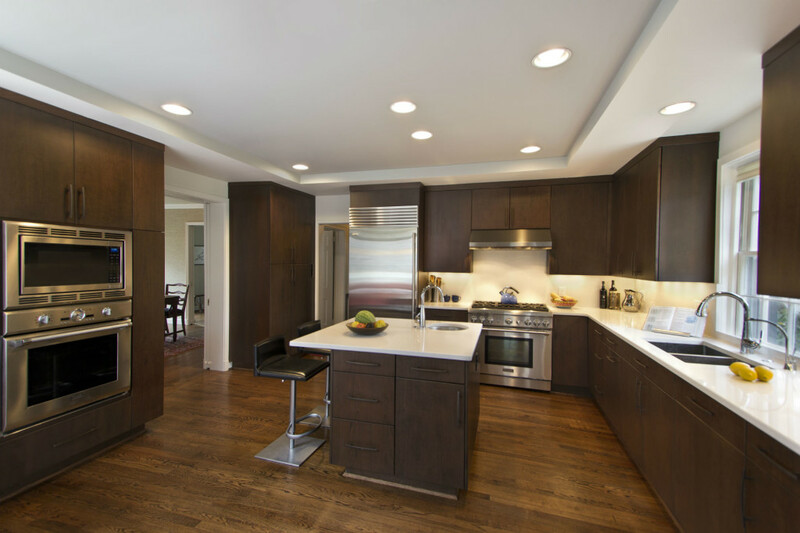 Without expanding the kitchen, the new configuration creates a more efficient workspace and provides a built-in corner banquette with adjacent storage. 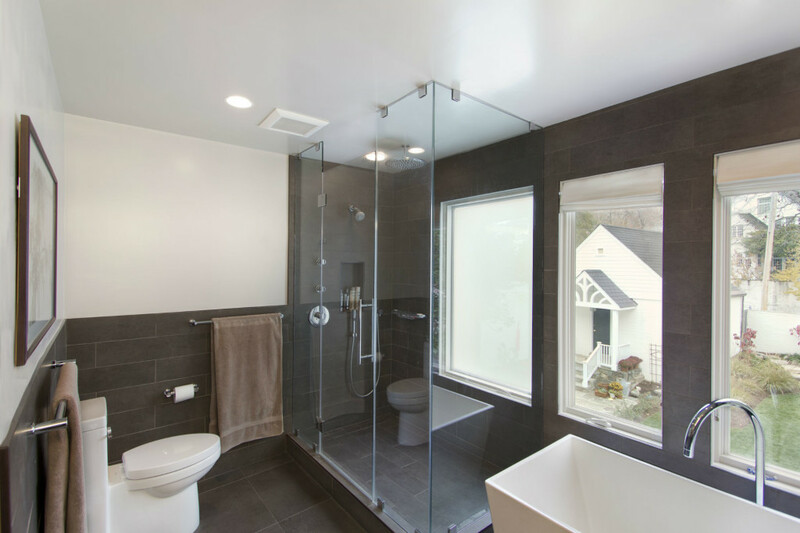 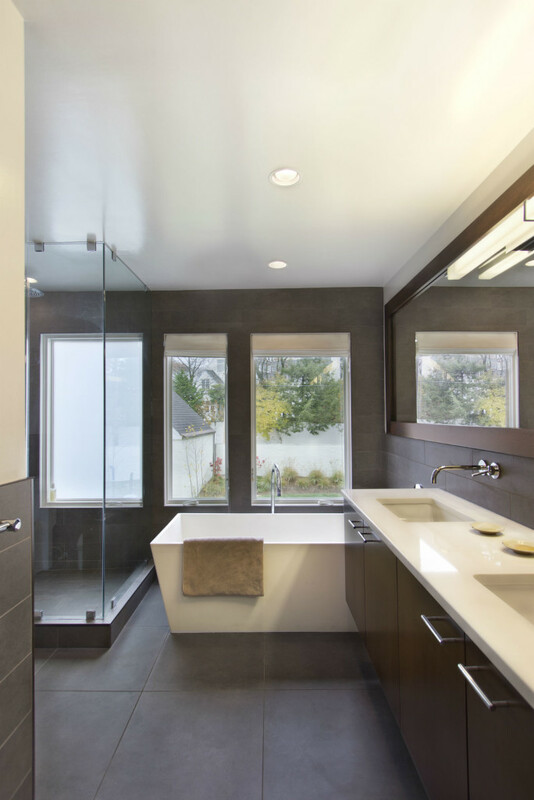 A glass corner shower prevents the modest master bathroom from feeling cramped.